Justin is sceptical about Vanessa’s decisions. Mariaan is not used to things not going her way. Jill manages to get a couple of convincing pictures that make it look like she and a drugged-up JJ are making out. She “accidentally” sends it to Paige from JJ’s phone, then gives Eve an update before leaving town. Daniel finds an out-of-it JJ and reprimands him for getting drunk or high. JJ insists he didn’t drink and comes to the conclusion that he either drank a spiked soda by accident or someone drugged him on purpose. He is shocked when he finds the incriminating photos on his phone and wonders if he has, indeed, been set up. Eric can’t get Nicole out of his mind, even as he tries to look to the future. Abigail is stunned Chad is back in town. He, at first, seems happy to see her but soon his true anger about her sleeping with EJ takes over. He blasts her, wondering if EJ was the DiMera brother she wanted all along. Namhla wants nothing to do with her ex. Gog’Flo has lost her mojo. Vengeful Tau isn’t about to lie down and play dead. Judas risks himself for Zama’s sake. Mpiyakhe’s return is a cause for celebration. Meanwhile, Mandla’s interrogation of Mkhize goes horribly wrong. Nina’s plan to get Gabriel’s Rec shares starts to materialise. Georgie wants Matlala to lead the Zamdela family reunion preparations. Lalage and Wendy call a truce. Chief Ramashia is hospitalized. Ranthomeng has an emotional outburst. Nyamukamadi emerses herself in Venda culture. MamMothibi plays cat and mouse with Puleng. 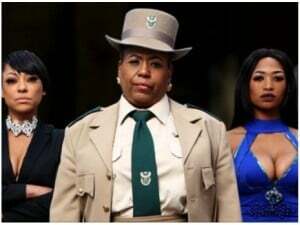 Lerato gets a new job, infuriating Bongi. Kop gets a surprise visitor. A mother's determination to protect her child causes strain and disagreement in several relationships. Mlungisi steps up on behalf of a family member. Neo starts to woo an unlikely candidate to be his friend. Clement brings trouble to the Seakamela house. Meikie and John continue to be at each other’s throats. Granny is not sure she can trust Kat anymore. Knowing that his son is going through marital problems of his own, Bill asks Wyatt to be his best man in his wedding to Brooke. When RJ pressures her about reuniting with Ridge, Brooke has a difficult time getting through to him that she is marrying Bill. Rick acts as a voice of reason regarding Brooke when Ridge fills him in on the plan of obtaining the Forrester Creations shares. Just when Thato thinks he is free from Diamond’s hold, Diamond beats Thato at his game. Mike breaks his promise to Kgosi. Schumacher loses everything that really matters to him. Nkunzi will not back down. Smangele gets a second chance. MaNzuza is haunted by guilt.